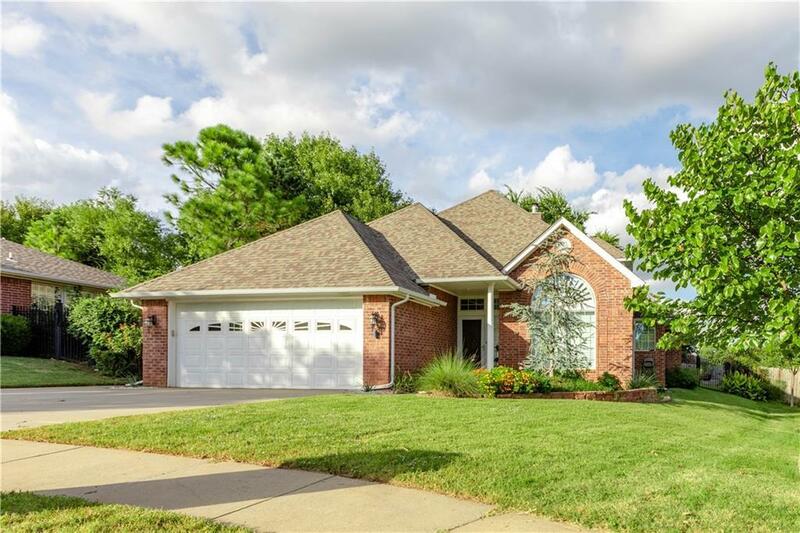 2305 Brandeis Court, Norman, OK.| MLS# 847220 | Oklahoma City Real Estate | Apple Realty, Inc. Fantastic Hall Park home! This could be a 4- or 5-bedroom home, whatever you need! There are 4 large rooms downstairs including the master suite, 1 bedroom upstairs with large closet and full bath that could also be a media, bonus, or office space. Heated saltwater in-ground pool out back for tons of family fun, spacious back patio, and outside store building. Updates in the kitchen include new paint and granite counters. An over-sized garage with work area and sink for dad with the 1/2 bath right inside the door.